Melt your butter on the stove on low heat. Add your marshmallows to it. Take a large plastic egg and stuff the mix in both eggs. Spray your hands with non-stick cooking spray. Form a hole in center of eggs by pushing your thumbs in it. Let mix set in egg while you make the rest of the cake. Put eggs in freezer to set up while you finish the cake. Spoon the rest of your rice krispy mix into a large glass pan. Dye some coconut green for green grass. Add on top of rice krispies. 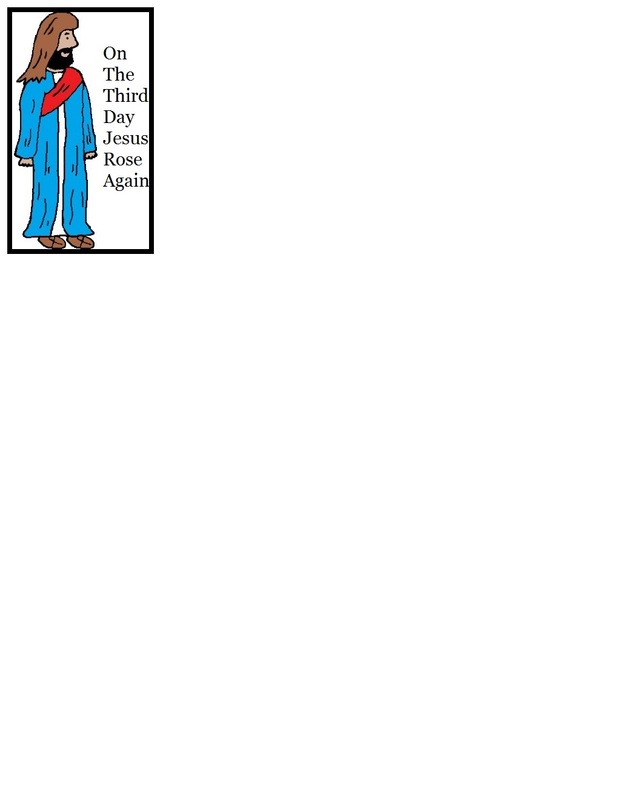 Print off our Jesus template and cut it out. Tape to a toothpick and stick down in cake. Grab your eggs out of the freezer now. Put the tomb egg on top of the green grass. To make the door just flatten the other egg tomb out with your hand. Use the top of a lid jar and press down in rice krispy. This will make a nice little round door. Lay the tomb stone door next to the tomb. I noticed that I had to put the tomb and little door back in the freezer for a couple of minutes so it could set up really good. If they are not all the way cool they will start to flop over. Sticking them in the freezer sets them up pretty good. Take this to a church function or make this for the kids at church to go with a Easter Lesson. You could just make the kids a bunch of tomb eggs by using small plastic eggs if you don't want to make this cake. If you wanted you could even leave them in the eggs if you wanted and hand them out to the kids. Either way they will love them, and they taste great too!